Day 27 of my 30 Days of Ag “All Things Minnesota Agriculture” is Far North Spirits from Hallock, MN. 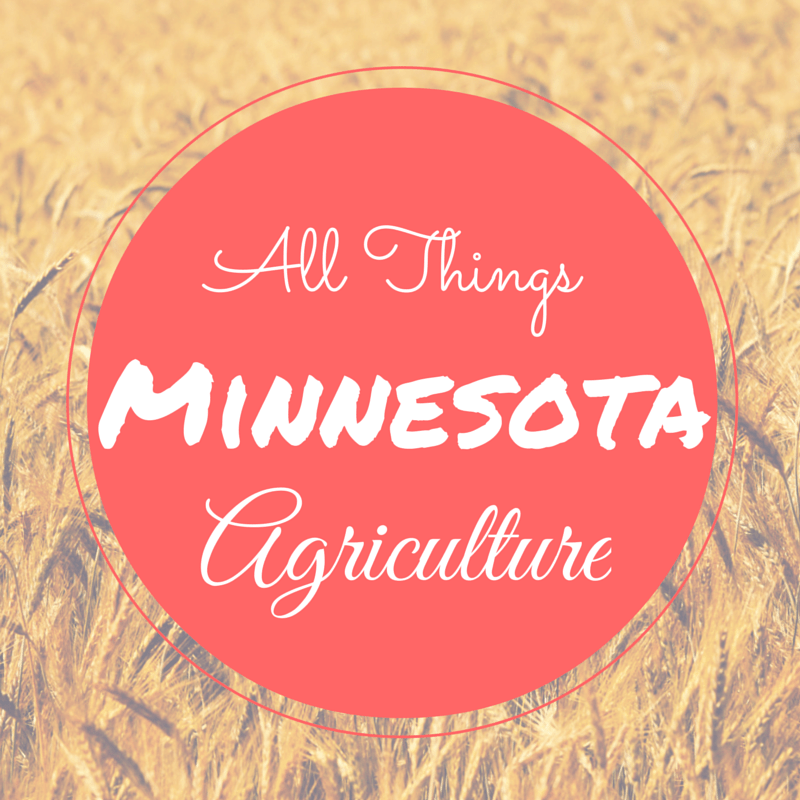 They operate Minnesota’s only field-to-glass craft distillery using estate grown grains from the Swanson family farm. Going to be honest here–this place sounds very interesting. I would love to visit them! The distiller plants and harvests AC Hazlet winter rye and two varieties of corn: Minnesota 13 (heirloom) and Blue River Hybrid 07M91 (organic). Using custom-made copper pot stills from Kentucky, we craft distill four products in small batches with the grains we grow: two styles of gin, vodka and rye whiskey. We also produce artisanal spiced rum (using domestically sourced sugar cane). After harvest, they do all the milling, mashing, fermenting, distilling, aging and bottling onsite. They have been in operation since November, 2103. The family farm has been in existence since 1917. Farn North Spirits is located just 25 miles from the Canadian border. 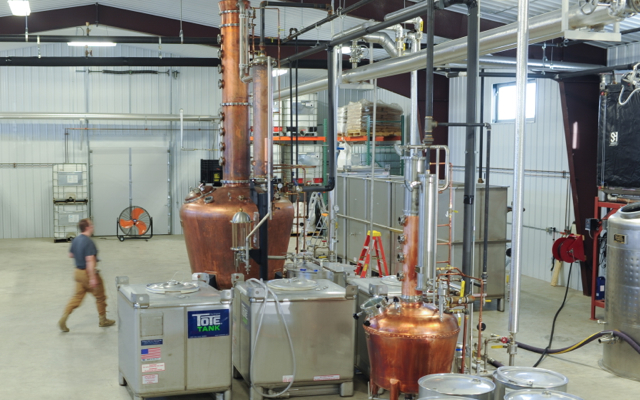 They are the northernmost craft distillery in the contiguous United States. Completed in October 2013, the 8,850 square foot distillery includes a dedicated barrel aging room just steps from where we grow our grains. They also have a tasting room where they offer samples of their spirits and cocktails on Saturdays following our tours. Year two plans include finishing out the tasting room with a cozy fireplace and bar to make it a spirits destination for craft enthusiasts from the U.S. and Canada. 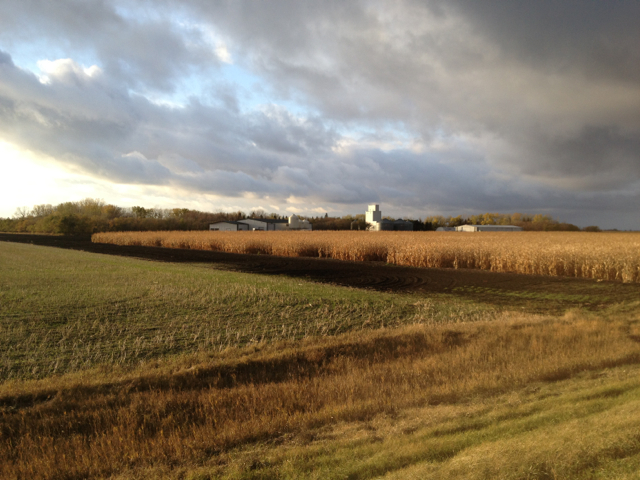 Swanson Farms is 1,500 acres of Red River Valley jet-black soil, with 300 acres dedicated to grain production for the distillery. Great Grandpa Gustav arrived here in 1917 and the land has been continuously farmed by Swansons ever since – by his son Albert and Albert’s son Charles. Now Michael, the fourth generation farmer in the family, plans to make a craft distillery part of the farm’s next 100 years. “Solveig (SOUL-vai) is a New American Style Gin leading with thyme and grapefruit peel, accompanied by lighter juniper notes. In addition to being field-to-glass, Solveig is made by individual botanical distillation, which is rare in the industry. Recognizing that each botanical has its own unique flavor profile, we distill them separately, allowing us to capture its purest essence. Those botanical essences are then blended together to make the final spirit. Although most gin is not produced this way, Far North is committed to this more labor intense process as it results in a truly superior gin with greater depth and character. Ålander (Oh-lander) is a rare spiced rum, one of the only craft spiced rums on the market. It is distilled in small batches using a combination of turbinado and demerara sugar sourced from Louisiana and Florida. The resulting base spirit is an exceptionally clear and delicious Demerara-style rum. Unlike most spiced rums, which are made using artificial flavors, Ålander is infused by hand with whole spices: Madagascar and Tahitian vanilla beans, cinnamon from Sri Lanka, clove and nutmeg from India and allspice from Guatemala. Spice infusion times vary; some are a matter of hours, others take up to three weeks. Gustaf (Goos-taf) Navy Strength (114 proof) Gin: Distilled from 100% AC Hazlet winter rye grown on the farm. Flavor profile: A bold, juniper backbone is balanced by bright citrus, clean herbal and vegetal notes, with a lingering, peppery expression of earth and sea. Syvä (SEA-va) Vodka distilled from rye. Finnish for “deep”, the name Syvä points to the depth of artisanal methods and ingredients in this Nordic-inspired, small batch vodka. A true field-to-glass spirit, Syvä gets its distinctive character from AC Hazlet winter rye grown and harvested by the distiller himself. It is a vodka that pairs beautifully with seafood and can easily be enjoyed by itself as a sipping vodka. “Our spirits are available in Connecticut, Minnesota, New Jersey, New York and North Dakota. In October 2014, our rum became available on the Viking Line cruise ships that serve Sweden, Finland and Estonia with a base in the Åland Islands. “Our desire to return home after living and working in the fast-lane, corporate culture of the Twin Cities for almost 25 years grew from a vision of building a legacy for the farm’s next 100 years while producing something very tangible – something you can smell, taste and touch. We wanted to craft by hand a finished product from the grains grown on the family farm. Making authentic, exceptional spirits in the fields tended by generations of our family is deeply satisfying.